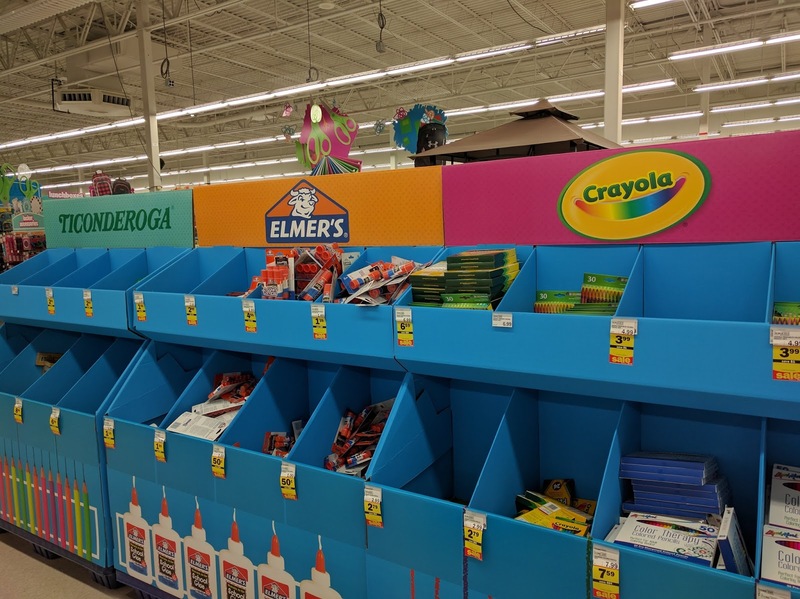 Although my son is a few years away from 'back to school' time, I still love shopping down the school supplies aisles and reminiscing about the very exciting 'back to school shopping day' I use to look forward to every year. 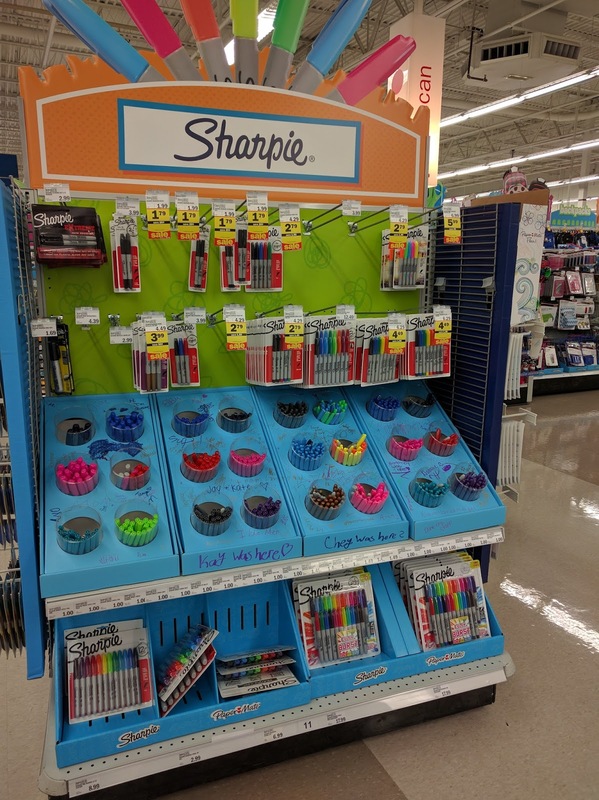 Bins and bins of crayons, pens, highlighters and glue with super low prices. 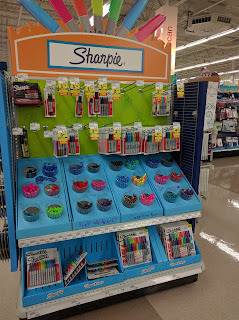 Sharpie display! 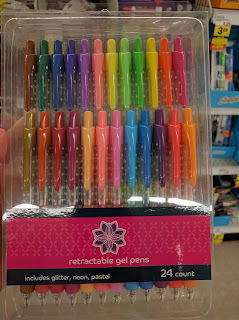 Just about every color of Sharpie you could imagine. These are not just for school kids, every household needs a Sharpie. 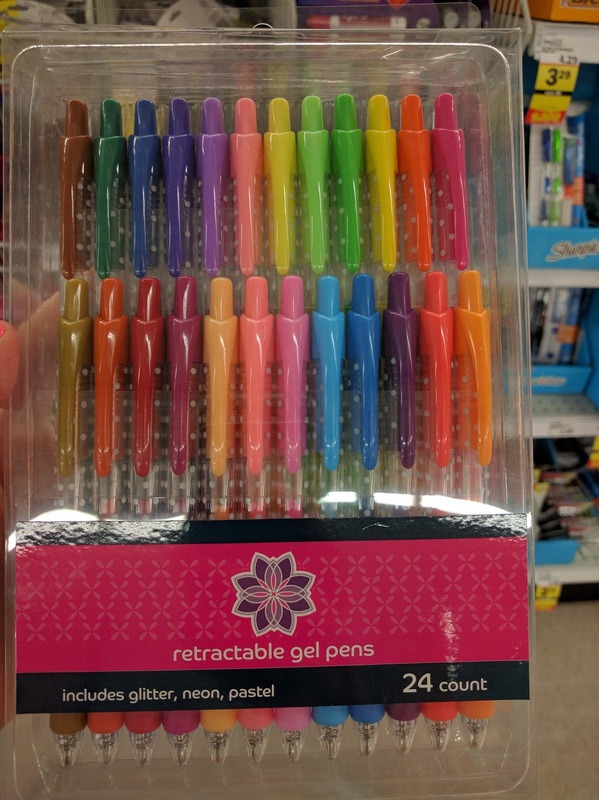 So...I bought these :) I love fun colored pens for taking notes at work and for writing in my planner. I bought these for my niece, but I may have tried them out for myself, first. You know, just to make sure they worked ;) I'm hoping they make homework a bit more fun for her! Scented markers, fun pencil holders, colorful erasers...I bought one of everything from this display alone! Not only do they have regular clothes, but they carry school uniforms too. 20% off food storage and lunch accessories...and more! I always check the app before each shopping trip, to make sure I am clipping coupons to help save on my trip. And sometimes I clip coupons as I walk through the store. 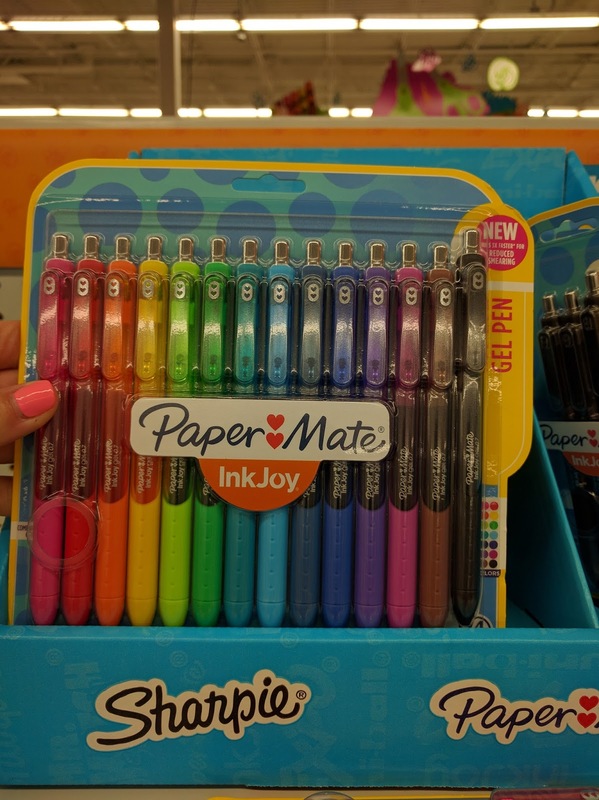 You can clip them in line for checkout and still save money! 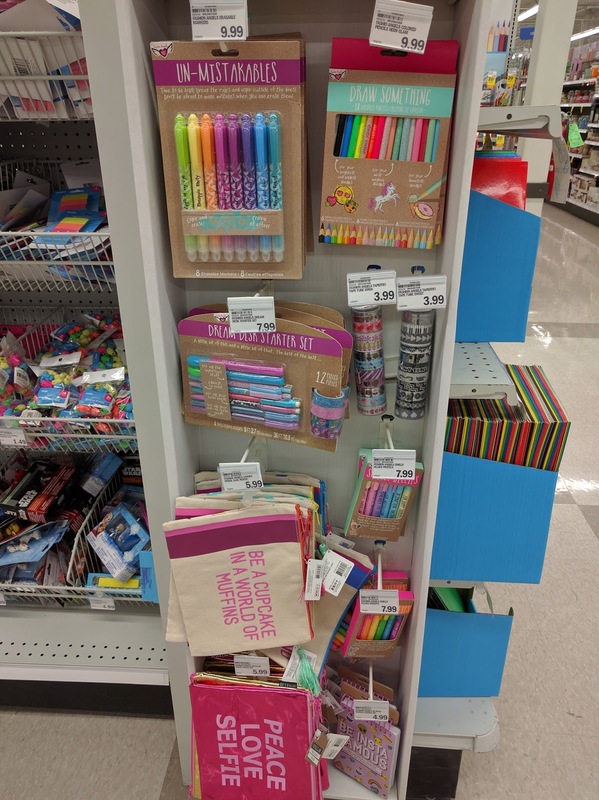 Have you started your back to school shopping yet? If so, what was your favorite purchase so far? This post was sponsored by Meijer. All opinions are my own. 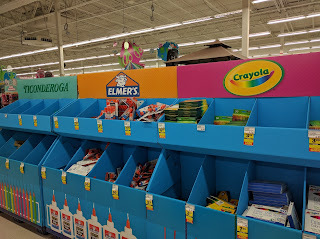 Meijer is one of my favorite places to shop. I can always find a deal there. Even though my kids are grown I shop the back to school sales for essentials I need like socks and shoes. 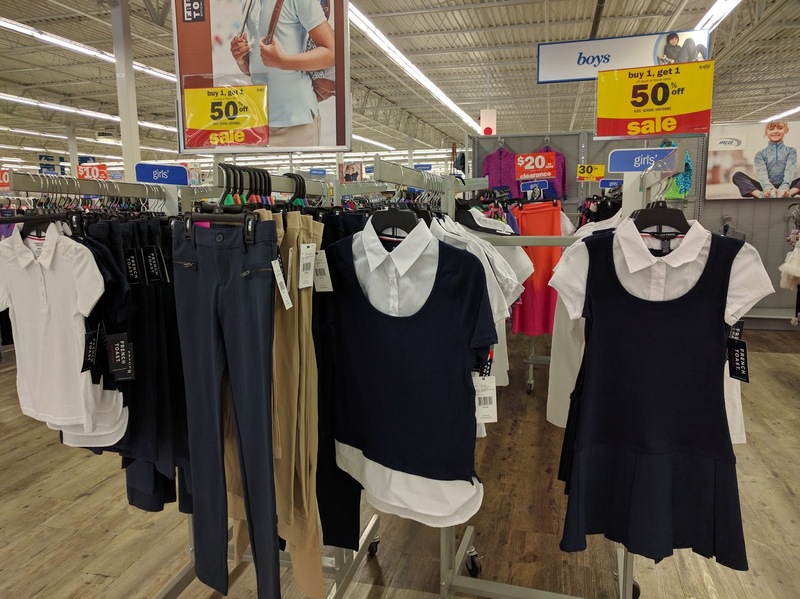 I miss back to school shopping at Meijer and other similar stores! 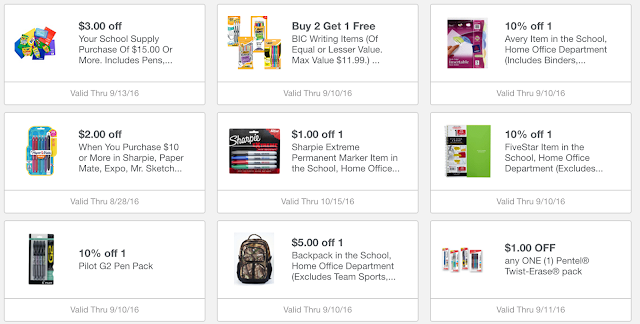 All of our supplies had to come from Amazon and Wal-Mart online this year. The deals and options just weren't the same. I'm a huge Meijer fan! You can everything you need there and they even have cute clothes. I LOVE Meijer and mPerks. I'm actually heading there shortly.